B&R athletes at the Gloucester 10km. 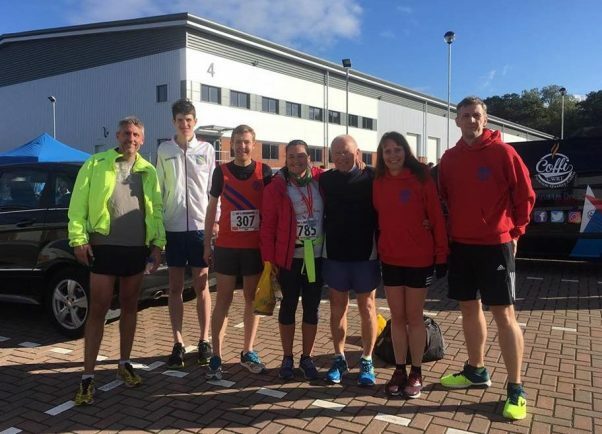 A SMALL cohort of Bromsgrove & Redditch Athletic Club runners took part in the Gloucester 10km on Sunday. Leading B&R home was Peter Ball who finished 35th overall (26th in the Male open category) with a time of 35 minutes, 30 seconds. Patrick Mackie (37:55) crossed the line in 56th position and 33rd in the male open category. Carl Hatton was 72nd overall and sixth in the M50 category, clocking 38:52, and Paul Edmonds (44:14) was next over the line in 151st overall and 23rd in the M40 category. He was followed by Ali Pickup (49:18) who came fifth in the F50 category. Completing the B&R team was Amanda Hatton (1:00:39) who came home 73rd in the F40 category and Roger Beacham (1:00:49) who finished fifth in the M70-plus category.